- Congratulations to Eva Marie & Jonathan Coyle, who had their official wedding ceremony earlier this week. The couple had eloped in the past, but held the ceremony for their families. WWE noted that fellow Divas Summer Rae, Cameron, Nikki Bella, Brie Bella & Layla were in attendance as well. Eva posted images from the rehearsal and more on her Twitter account. WWE has more at this link. - Jack Swagger stars on the latest edition of Smackdown Fallout, available at this link. - The stable of Big E, Kofi Kingston and Xavier Woods looks to be "on" again after being quietly dropped from WWE programming earlier this month. 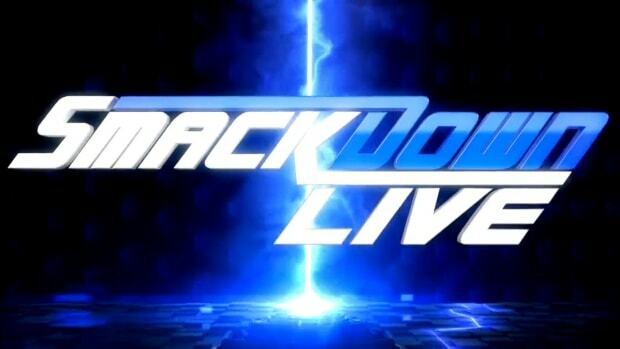 - WWE Smackdown is moving to Thursday nights. SyFy has updated their schedule to reveal the move will take place on Thursday, October 2, 2014. You can view the full schedule at this link. - Ric Flair accepted his challenge with a video posted at this link. - We noted earlier here at WrestlingNewsWorld.com that WWE is officially advertising Daniel Bryan for their upcoming European tour in November. Another injured worker that is being advertised for the tour is Wade Barrett. Barrett had shoulder surgery in July after getting injured during a match against Jack Swagger that was taped for Smackdown in June. Barrett was the WWE Intercontinental Champion at the time but had to be stripped of the title. At the time of his injury, no timetable was made available for his return with WWE considering him out "a number of months." Speaking of Barrett, he completed the ALS "Ice Bucket Challenge" as you can watch at this link. - WWE posted a behind-the-scenes video of the Ad Council&apos;s Fatherhood PSA&apos;s with Roman Reigns and Titus O&apos;Neil. Alberto Del Rio was originally part of the campaign but was obviously dropped when he was released. Their real life kids are in the spots as you can watch the neat piece at this link. - Chris Jericho will host The Highlight Reel next week on Monday Night Raw with Randy Orton as his guest. - To follow-up on Ryback&apos;sTwitter activity from Monday, when he noted he was "going away for a while to get some stuff fixed," he&apos;s now formatted his account. This is what Ryback does and why it&apos;s difficult to take anything he Tweets at face value. - Rob Van Dam&apos;s second short-term deal with WWE is coming up and the word making rounds is that Tuesday could be his final night with the company under this latest deal. Obviously the door will be open for him to return in the future. - Former WWE Divas Maryse and Kelly Kelly were backstage at Raw in Anaheim. Maryse was also at SummerSlam. - Paul Heyman took the ALS "Ice Bucket Challenge" as you can watch his video at this link. - The new WWE logo is a featured topic in the latest episode of WWE Inbox. You can watch at this link. - WrestlingDVDNews.com posted the intro video of the upcoming "Best of Sting" DVD. You can watch at this link. - A video of Paige&apos;sNXT Summer Vacation photo shoot is online at this link. - Hulk Hogan did an interview with FoxSports.com, where he continued the rhetoric that if he had one more match that he would want it to be against John Cena. When asked if he was a bigger star than The Rock, Hogan said in wrestling, yes but in Hollywood, The Rock is the bigger star. Click here to read the piece in its entirety. - Fergal Devitt talks about his first few weeks training at the WWE Performance Center in a new video blog. You can watch it at this link. - This week&apos;s episode of WWE NXT will air at 4 PM EDT on Thursday before its normal 9 PM EDT timeslot on the WWE Network. This week&apos;s episode features the naming of a new General Manager. We have complete taping results at this link. - Speaking of NXT, dot com looks at the brand&apos;s "Wrecking Ball" in Bull Dempsey at this link. - Ryback stated in a new video posted on YouTube that he&apos;s been working for "about seven months" with a strained groin and two sports hernias. The recording was apparently done from a hospital bed as he was wearing a surgical hat and oxygen on his nose (with the sound of an IV pump/heart monitor in the background). While some will suggest this is part of some type of angle, he did use a NSFW word that doesn&apos;t exactly go along with WWE&apos;s PG initiative but take this for what you will. WWE claimed on this week&apos;s episode of Main Event that he&apos;s out injured. Richard Reacts: I was just waiting for Steve Austin to burst in there wearing a doctor&apos;s mask and hitting him with the bed pan. All of the best if this is legitimate, if not it could be character progression of some sort. - Zeb Colter is still under WWE contract. There were some questions regarding his status after not appearing on television since SummerSlam but he&apos;s still employed as of this writing. The word making rounds is that he&apos;s dealing with some type of injury that could have occurred in Rusev&apos;s post-match beat down at the pay-per-view. - We&apos;ve heard at least some of the members of the WWE creative team that were recently released received severance pay. Kevin Eck, known for his work at the Baltimore Sun before getting hired by WWE in 2011, wrote about his on Facebook. - WWE had to deal without a lot of WWE Network confusion as a result of one of JBL&apos;s lines on commentary on this week&apos;s episode of Raw. JBL kept stating that every WWE pay-per-view through Royal Rumble would be available for only $9.99, which some took as that pay-per-views would move off the WWE Network. What he was actually saying, was that those that bought at the $9.99/month price with the 6 month commitment would carry them through that pay-per-view. In fact, those that purchased on Monday would have all the pay-per-views from Night of Champions to Elimination Chamber. - The budget cuts in WWE are still in full effect. One of the promotional elements of this week&apos;s episode of NXT on the WWE Network is the naming of a new General Manager. JBL was replaced due to cutbacks as the company felt they could save by not flying him down there when they taped. The hiring freeze also remains and is the reason why some people that were told they were getting signed have not been contacted. 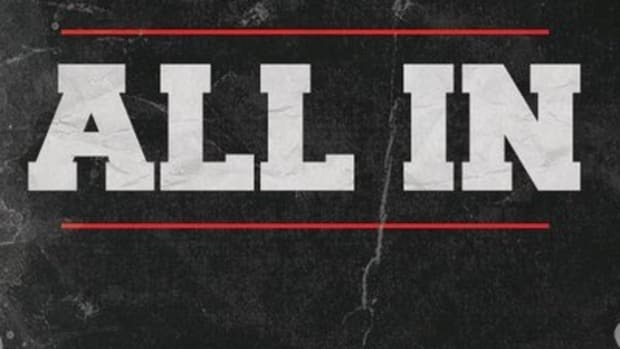 As for why talent like Kevin Steen, Fergal Devitt and Kenta were still signed, those deals were completed before the freeze and were seen as imperative in "re-stocking" developmental. - The first good news in regards to Daniel Bryan has been erased as WWE pulled him from official show listings for their European tour in November. When the listings were posted, some speculated he would appear in a non-wrestling role. It now appears he was simply added by error as he continues to deal with health issues. As we&apos;ve noted numerous times, Bryan is out indefinitely. It is worth noting that Triple H name-dropped him in this week&apos;s kayfabe interview, which could be taken as a positive sign depending on how you look at it. - Wade Barrett is another worker without a timetable that appeared to be on the European tour but was later pulled. His injury was severe as he underwent a ligament reconstruction in his shoulder, as well as a distal clavicle resection, where the end of the collar bone is shaved off. Ouch! - While SyFy has updated their schedule to reflect that Smackdown is moving to Thursday nights beginning October 2, 2014, WWE is not yet commenting. I texted with a WWE contact when the news first broke and they were unable to provide me with any comment or confirmation on the move. As I noted in the original report, this was a move that was expected. - Raj Giri of WrestlingInc.com is reporting that Jake "The Snake" Roberts was hospitalized in Las Vegas on Thursday. According to his report, Roberts lost consciousness on a flight to Vegas on Wednesday and has been unconscious ever since. He was transported from the airplane to a hospital via ambulance. Apparently Roberts has double pneumonia, his lungs are filled with fluid and there is a mass on his brain. - William Regal is the new NXT General Manager. The role was previously filled by Dusty Rhodes and JBL. - WWE Magazine is closing up shop after 31 years in publication. WWE decided to cease all operations as part of ongoing budget cuts with the final issue being the October 2014 issue. The department said their goodbyes on Twitter. - Dean Ambrose was written off of WWE television last week to film his role in the upcoming WWE Studios production "Lockdown." Filming is currently scheduled to take place through September 20, 2014. Ambrose would be available for Night of Champions on September 21, 2014 and is advertised for the television tapings to follow. The storyline is Ambrose went "missing" after "refusing treatment" for "head and spine trauma." We recapped that coverage at this link. Triple H discussed Ambrose in his latest kayfabe interviews that you can watch here and here. The backstage reaction to Dean Ambrose&apos;s program with Seth Rollins was very positive. It was seen as one of the best undercard programs in quite some time and received rave reviews all around. - Donald Trump accepted Vince McMahon&apos;snomination in the ALS "Ice Bucket Challenge." You can watch his video at this link. Dot com has coverage at this link. - WWE premiered a new animated series on YouTube called WWE Cheap Pops. You can watch at this link. - William Regal talked about his first night as NXT General Manager in this video. Click here for behind the scenes details as to why this was done. - Jake Roberts remains hospitalized in Las Vegas, Nevada as he battles double pneumonia. The news broke on Thursday afternoon that Roberts fell ill on a Wednesday flight from Atlanta to Vegas. Troubling updates suggested that he has been in and out of consciousness ever since and that he has fluid in his lungs in addition to a mass on his brain. Mike Parker is the owner/creative director at LowBrow Studios. - Stephanie McMahon wrote a touching editorial for the Huffington Post on the young Daniel Bryan fan that touched all of our hearts earlier this year. The fan was 7-year-old Connor Michalek, who she met at Royal Rumble but died three weeks after attending Wrestlemania 30 due to Medulloblastoma (a form of pediatric brain and spinal cancer). Connor had such a profound impact on Stephanie and Triple H that they started a fund in his honor called "Connor&apos;s Cure." The fund is designed to fund research to help find a cure for pediatric brain and spinal cancer. Click here to read the editorial. - We&apos;re told the WWE office wasn&apos;t happy with William Regal&apos;s work on commentary so they made the decision to move him to the commissioner&apos;s role on NXT. According to a source, the feeling was his commentary came across as "too bland." The spot of NXT General Manager was also offered to Terry Taylor. - It&apos;s time for the weekend as this week&apos;s episode of The JBL & (not) Cole Show is now online. This week&apos;s episode features Mr. Belding and Bad News Barrett after John "fired everyone." You can watch at this link. Also, here&apos;sRenee Young&apos;s secret message. - Bully Ray and Velvet Sky did a "Stone Cold" Steve Austin gimmick with their respective ALS "Ice Bucket Challenges." You can watch at this link. - The things we are hearing about Global Force Wrestling are not overly optimistic. We&apos;re told many people that are involved with the project are "losing faith" that it can get off the ground before the end of the year. So far, GFW has had a harder time than TNA Wrestling when finding interest from a US television network. Both groups have inquired with Fox about potential deals to air on Fox Sports 1 or Fox Sports 2 but the network does not want to devote any of their limited budget to pro wrestling right now. According to a source, Scott D&apos;Amore has been involved behind the scenes in Global Force Wrestling and recently reached out to WWE looking for a job. - TNA crossover star King Mo spoke with Submission Radio to talk about his future in pro wrestling. In the interview, Mo was asked about Impact Wrestling&apos;s future on Spike TV. Jimmy replaced Don West to help sell merchandise for the company. You can see his work at this link. I have been advised to decline (your request) at this time due to ongoing events with my former employer. He also stated that if anything changes and when he is "cleared", he would love to talk about his time with the company to Jake. While Jimmy Jay has been with the company for 7 years, I questioned whether him departing from TNA Wrestling involves the current action of TNA not handing out new contracts to anyone. At any rate, we wish Jimmy the best of luck in his future. On September 5 and September 6, TNA will tape the One Night Only pay-per-viewers of Turning Point and Rivals respectively. The rest of the dates are tapings for upcoming episodes of Impact Wrestling that will air on Spike TV. - This week&apos;s episode of Impact Wrestling garnered an average viewing audience of 928,000 viewers on Spike TV, which is up an average of 76,000 viewers from the week prior. This is the second week in the new Wednesday timeslot. TV by the Numbers has data for the entire day on cable at this link. - ROH Champion Michael Elgin has blown an opportunity to go to TNA Wrestling. He admitted in a media interview earlier this year the company "kind of" reached out to him but he had no interest due to there being things he wanted to accomplish with Ring of Honor. Apparently he&apos;s no longer happy in ROH and reached out to TNA to see if they were still interested. When TNA was originally after him, they were trying to bring in new talent to build momentum for their tapings in New York City. Now that they&apos;re on the verge of losing TV, they aren&apos;t looking to bring anyone in. Elgin was told there was not a spot for him as of now. While Bully Ray, whose TNA future remains in question, isn&apos;t listed it is listed that Team 3D will be inducted into the TNA Hall of Fame. TNA Bound for Glory 2014 will take place Sunday, October 12, 2014 in Tokyo, Japan. In Friday&apos;s installment of Ask WNW you stated that Vince McMahon wants to do Brock Lesnar vs. The Rock at Wrestlemania 31. However, with all of Lesnar&apos;s momentum, doesn&apos;t it only make sense to have him "do the honors" for someone that is in WWE&apos;s future? Roman Reigns, who Triple H wants to program against Lesnar, is a good choice but what about Daniel Bryan? Lesnar vs. Bryan seems like an obvious choice for Wrestlemania 31. The main event of Wrestlemania 31 will be one of the most debated topics over the course of the next several months. As things currently stand, Vince McMahon wants Brock vs. Rock and Hunter wants Brock vs. Roman Reigns. Does WWE choose to go with the "biggest match possible," which is Brock vs. Rock, or do they look to the future with Roman Reigns? Daniel Bryan is an interesting scenario, however, his health is very much a concern. In the first bit of positive news in more than three months, it was learned on Monday that Daniel Bryan is being advertised for the company&apos;s tour of Europe in November. I don&apos;t know if that means much but it *could* mean the company is expecting him back by then. However, I will caution that no timetable for Bryan&apos;s return to WWE has been made available to the public as of this writing. As for who I would like to see Brock Lesnar face at Wrestlemania 31, I want to see the direction from now through the rest of the year. How does Roman Reigns progress? Will Daniel Bryan be able to come back before the end of the year? Will Lesnar still be WWE World Heavyweight Champion? I want to see these -- among other scenarios -- before I go on record with a Wrestlemania 31 main event that I want to see. How has Dean Ambrose become an afterthought when talking about potential top main event babyfaces? I do not believe that Dean Ambrose has become an afterthought. Ambrose vs. Seth Rollins was one of the best undercard programs of the year and Ambrose&apos;s stock continues to rise. He was written off of television last week to begin filming his role in the WWE Studios production “Lockdown.” We can say Ambrose is ranked third behind Roman Reigns and Seth Rollins but regardless of those rankings, his future remains very bright in WWE. With a lot of wrestlers complaining about the road schedule with some even quitting over it, do you think the WWE will ever modify it? I believe there is too much money at stake for WWE to ever alter their touring schedule. It is brutal and the fact that John Cena worked the weekend live event loop in Street Fight matches against Kane after his extremely demanding match at SummerSlam against Brock Lesnar, highlights just how brutal it is. There have been all kinds of scenarios discussed [outside of WWE] in regards to an offseason but I do not see the company ever implementing them because of the money involved. Do you believe that WWE has gone overboard with keeping blood out of the product? I noticed they&apos;ve even gone to the extremes of using black and white to hide blood in video packages. Personal feuds such as Lesnar and Cena or Rollins and Ambrose could really be enhanced by color in my opinion. Adding color has been a practice used in professional wrestling for decades but has since been phased out by WWE. They&apos;ve outlawed blading and have medical personnel at ringside to clean up workers that get busted open during matches. I agree that color adds to matches and personal feuds, however, I completely understand why WWE have moved away from it. Coming in contact with someone else&apos;s blood puts people at risk for infectious diseases such as HIV and hepatitis C. Even though workers are routinely tested for such diseases and WWE does not clear anyone that tests positive, there is still an incubation period where a worker could test negative but be a carrier of an infectious disease. WWE edits pictures and video packages where there is blood to maintain their PG rating. If anyone thinks WWE plans to change their anti-blood policy anytime soon they need to look none further than the $2.3 million judgment that Devon Nicholson won against Abdullah the Butcher. WWE will move forward with color as a thing of the past and while it takes away from the realism, it&apos;s admirable they are putting their health of their talent first. October 2012: Were you ever a wrestler or try to get into the business? - I have never taken a bump in my life and probably never will. Some may find this offensive but I chose a different path to pursue my passion for the pro wrestling business… covering it from a journalistic standpoint. Many of my friends that started writing on the Internet with me in the late 90′s went on to work as wrestlers, referees, ring crew and even promoters but I “stayed the course” and pursued a career in journalism. I have great respect for the business and the people that work in it, however, I also do not feel the fact I have never worked makes me a “mark” or unable to understand it. I commit my day-to-day life to my work while maintaining great friendships with those that get in the ring and perform. What do you think about John Cena&apos;s workload following his very physical match against Brock Lesnar at SummerSlam? John Cena has now had four matches since working Brock Lesnar in the main event at SummerSlam a couple weeks ago. Three were live event Street Fights against Kane and then Bray Wyatt on this week&apos;s episode of Raw. While these matches were shorter, I think it&apos;s concerning. Cena was off TV last week to sell the beating and then right back at it on the weekend loop. What&apos;s equally as troubling is the way he was booked at Raw. It&apos;s like WWE panicked and decided to rebuild Cena all in one week, at the risk of hurting Bray Wyatt. There is plenty of time to re-build Cena as to having a shot at Night of Champions but the way he was booked on Raw was rushed. Cena is healthy after the beating he took at SummerSlam but it&apos;s safe to say WWE is currently riding him hard. What did you think of the Goldust and Stardust heel turn on this week&apos;s Raw? It was needed to elevate the program against WWE Tag Team Champions The Usos. Regardless of what was planned, Cody Rhodes&apos; ability to get over as Stardust has prolonged his role and rejuvenated interest in the Rhodes Brothers. While all this is great in the short-term, one must wonder if Cody Rhodes will ever surpass mid-card booking. He&apos;s always done everything asked of him but many considered him to be destined for the top of the card at one point. Can you make the argument that none of the secondary titles hold any value currently? Last week&apos;s episode of Raw saw losses from the WWE Tag Team Champions, the Divas Champion and Intercontinental Champion. One show, three losses from "champions." I hate that type of booking and while I understand why it was done, I like making titles mean something. Given Brock Lesnar&apos;s part-time status and the fact the WWE World Heavyweight Championship will not be routinely spotlighted, I believe now is as good of a time as ever to rebuild some of the secondary belts. However, I didn&apos;t see much on this week&apos;s Raw to indicate that&apos;s what WWE is doing. An underwhelming encounter between Cesaro and Sheamus (US title), Paige getting the win but Natalya KOing her (Divas title), another loss from The Usos (albeit a count out, WWE Tag Team Champions) and Dolph Ziggler getting a quick win against Damien Sandow. Has WWE given up on Bo Dallas? WWE hasn&apos;t given up on Bo Dallas as he had the segment with Jack Swagger on this week&apos;s Raw and a quick win over Kofi Kingston. He clearly took a backseat to the SummerSlam build but it&apos;s not over yet. Adam Rose is another worker people keep asking about but he continues to win, albeit on the secondary shows (beating Curtis Axel in a match taped for this week&apos;s WWE Superstars on Monday night). I believe both no longer have as much interest as they once did but neither have been abandoned yet. April 2012: You mentioned that you found it ironic that Brock Lesnar was working with John Cena because in the past Lesnar didn’t like Cena. Why? - I do not know the specific reason Brock Lesnar didn’t like Cena but it’s clear in many circles they didn’t get along. Lesnar was a main event talent while Cena was still “coming up” and I don’t know if Lesnar saw Cena as a threat or just didn’t like him personally. It will be interesting to see how it all plays out but it’s very different now as Cena is the face of WWE and no one is going to push him around. Earlier this month you said Vince McMahon doesn&apos;t have any interest in bringing Kurt Angle back, but with Rusev going over Jack Swagger I think it would make sense to have Angle come back to square off against him. If they are still trying to push Rusev to the next level, why not have him go over Angle? I reported last week here on WrestlingNewsWorld.com the opinion in WWE is changing in regards to Kurt Angle. While you have suggesting using Angle to put over Rusev, there is legitimate intrigue about using him to put over Brock Lesnar. However, as I noted in my report, any deal would hinge on Angle being able to pass a WWE physical. If Angle is healthy enough to pass a WWE physical, there is a chance we could see him work for WWE again. While I still don&apos;t believe the chances are very good, they&apos;re greater than they were just a couple of months ago. Angle&apos;s contract with TNA Wrestling expires on September 21, 2014 and he&apos;s not expected back. While TNA will remain on Spike TV for the rest of this year, do you think that it&apos;ll ultimately survive next year? We reported here on WrestlingNewsWorld.com that Spike TV has made overtures about buying 51% of TNA Wrestling. According to a source speaking under the condition of anonymity, the Carter family is interested but so far Dixie Carter has been resistant. The short-term extension on the network was seen as a way to prevent any rush decision from being made. If the Carter family does not sell, I believe there&apos;s a good chance TNA will not return to Spike next year. If TNA loses Spike TV, they&apos;ll have to look elsewhere for clearance on domestic television. They have been talking with other networks (through UTA) but losing Spike would not be a good thing. However, there is no way for me to say definitively they will survive or won&apos;t survive until their future on domestic television is resolved. If they are unable to stay on domestic television, their future is very bleak. Whilst watching the Brie/Nikki segment on Raw, there were several times where it looked like what Nikki did could have really hurt Brie (the hair pulling, etc). Is there ever a "safe word" or an action where a superstar can just slyly signal to the other to tone it down a notch? I don&apos;t know about a safe word but the work between Brie and Nikki Bella has been intentionally stiff. As we reported in our Backstage Raw News, the fact that Brie and Nikki are identical twin sisters they are able to do things to one another they wouldn&apos;t be able to do anyone else. I am an identical twin and I can vouch for this sentiment. While there are some programs that justify stiffer work, the bond between twins is unexplainable and allows for things to be taken a "step further." Brie and Nikki know this is a big time opportunity and they want to take full advantage of it. I am excited to see what Global Force Wrestling can do but I&apos;m a little worried there has been no word of a television deal. If they do not get a TV deal would all their planning be for nothing? We updated on Global Force Wrestling on Monday here on WrestlingNewsWorld.com. They have been talking with television networks in the United States but have had even less luck than TNA in terms of generating interest. The frustration has caused some people currently working with GFW to look for work elsewhere because they don&apos;t see it getting off the ground this year. While I think what Jeff Jarrett is doing is great for the pro wrestling business, he has lofty expectations of even replicating the success of TNA Wrestling. I&apos;m not saying he can&apos;t do it but it&apos;s not going to be easy. October 2012: What are your thoughts on the finish of CM Punk vs. Ryback from WWE Hell in a Cell? - I thought the finish to CM Punk vs. Ryback at Hell in a Cell was lazy, nonsensical and very poorly done. This isn’t an issue about having Punk retain while not making Ryback look weak. This is an issue of the undefeated superstar taking a loss in his first relevant match as a main event performer. Punk came out looking like the cowardly heel but why should anyone be scared of 0-1 Ryback? As I pointed out here in Richard Reacts, it completely lacked logic for the referee to be able to stop Ryback from Shell-shocking Punk. If Ryback is who they say he is, he destroys the referee without cause. The main event could not have come off worse and despite working the best he could, the booking assured no progress for Ryback as a viable main event wrestler. Do you think with Ryback taking time off that when he comes back it&apos;ll be the perfect opportunity to turn him babyface and push him in the main event? In my opinion a move like that could save his career and make him a future World Champion. I would oppose Ryback getting another opportunity in the main event at this time. While WWE did him no favors when they booked him in the top of the card a couple of years ago, he at least got the opportunity. There are so many other workers I would rather see in that spot than Ryback. Not only did Ryback not "stick" in terms of getting over with the audience, he had problems backstage with co-workers and got a reputation for producing bad media appearances. There is value in Ryback but I don&apos;t see that value above what he is currently doing as a mid-card worker that can also help bolster the tag team division. I agree with Shawn Michaels and Ric Flair from Raw that no one wants to see Brock vs. John Cena again. To me Brock winning is repetitive and Cena winning makes no logical sense. Since it is the "rubber" match, why not have them compete in an "I Quit" match? I am very interested to see how WWE books Brock Lesnar vs. John Cena at Night of Champions. I agree it&apos;s a tricky situation based on how Cena lost at SummerSlam but to not "invoke the rematch clause" wouldn&apos;t follow logic either. The company has to be careful in the match as Lesnar needs to continue to look unstoppable but they don&apos;t want to damage Cena either. WWE panicked with Cena on Raw this week and that hurt Bray Wyatt. The implications of this program have a trickle down effect. Your suggestion for an "I Quit" match makes sense and perhaps a gimmick would be a good route to go for the blow off. However, it could also prevent a dirty finish. Is Batista planning to return for one more run? If he does, do you suspect that the popularity of Guardians of the Galaxy will result in him being seen in a more positive light by the fans? I discussed Batista&apos;s WWE future in depth in the latest Premium Mailbag. I recommend you listen to that for complete analysis, however, I will make some notes here. First, I believe Batista needs to come back to WWE. His run this year completely bombed and no one wants to go out like that. But there are issues. Batista wasn&apos;t happy with the way WWE utilized him and was frustrated over how he was received. The success of Guardians of the Galaxy will help Batista&apos;s acting career but I&apos;m not sure it will help his standing with the WWE audience. In fact, it could cause further resentment as fans will see a Hollywood actor taking a main event spot from full-time WWE performers. Note, I don&apos;t completely agree but that is a perception. When will WWE begin filming the next season of Tough Enough for the WWE Network? All plans for a new season of WWE Tough Enough have been put on hold due to the ongoing budget cuts. The new original programming coming to the WWE Network after Monday Night War is WWE Rivalries (premiering in October) and WWE Countdown (premiering in November). July 2012: Is the way AJ Lee is being used the new way of pushing Divas in WWE? Helping to expand story lines rather than wrestling. - It’s funny because the last two Divas to get over, Eve Torres and AJ Lee, have done so assisting in main event angles and not by performing in the ring. I don’t know if it’s necessarily the “new way” as using female talent in top angles isn’t really anything new. AJ’s success certainly helps her standing in the company as I heard Vince McMahon was pushing for her to get a run with the Divas Championship down the road. AJ’s work has been fantastic and it’s great to see talented people get opportunities to shine on television.